We have also included in our tables foods that are low in cholesterol and low in saturated fats. So you know what you can eat as well, without aggravating your cholesterol levels. 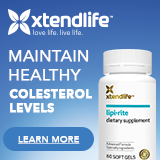 THIS PAGE HAS BEEN MADE OBSOLETE THROUGH OUR NEW CHOLESTEROL DIET PAGE AND OUR NEW CHOLESTEROL CHART PAGE, but this part page is left here for the convenience of those who may still be using it. Dairy products are generally foods high in cholesterol and saturated fats. Normal Milk - 1 cup (250 millilitres) - contains 6 grams saturated fat and 30 milligrams cholesterol. Reduced Fat milk - 1 cup - contains about 2.25 grams saturated fat and around 12.5 mg cholesterol. 1% fat milk - 1 cup - 1.5 gms saturated fat and 10 mg cholesterol. Fat replaced milk - canola substituted for saturated fat, 1 cup - 0.5 grams saturated fat and 0 cholesterol. Goats milk - 1 cup - 5.5 gm saturated fat and 30 mg cholesterol. Regular soy drink - 1 cup - 1 gram saturated fat and 0 cholesterol. Coconut milk - 1 cup - 52 gm saturated fat and 0 cholesterol. Plain or Fruit - 200 gm or 7.1 ounces - 4gm saturated fat and 25 mg cholesterol. Low Fat - 200 gm or 7.1 ounces - 2.5 gm saturated fat and 10 mg cholesterol. Low fat cottage - 40 grams or 1.4 ounces - 0.5 gm saturated fat and 5 mg cholesterol. Low fat ricotta - 40 gm or 1.4 ounces - 2 gm saturated fat and 15 mg cholesterol. Soy Cheese - 30 gm about 1 ounce - 1 gm saturated fat and 0 cholesterol. Here's the believe it or not part, research, such as the recent Baker Heart Research Institute study, has shown that cheese does NOT really increase cholesterol. Their study on 19 adults with elevated cholesterol levels, showed that 120 grams of mature cheddar cheese, even when consumed every day for a month, altered cholesterol levels only marginally. Other research studies have also had similar results when researching cheese consumption and cholesterol levels. Normal - 100ml aka 50 gm scoop aka 1.8 ounces - 3 gm saturated fat and 20 mg cholesterol. Reduced fat - 100ml aka 50 gm scoop aka 1.8 ounces - 2 gm saturated fat and 15 mg cholesterol. Low Fat - 100ml aka 50 gm scoop aka 1.8 ounces - 1 gm saturated fat and 5 mg cholesterol. Small ice cream treats - drum stick etc - around 7 grams saturated fat and 45 mg cholesterol. Tofu Ices - 50 gm or 1.8 ounces - 1 gram saturated fat and 0 cholesterol. Normal whipping cream or sour cream - 20 gms or 0.71 ounces - around 5 gms saturated fat and 20 mg cholesterol. Light / Lite cream - 20 gms or 0.71 ounces - around 2 gm saturated fat and 10 mg cholesterol. Spray can cream - 1/3 cup - 3 gm saturated fat and 15 mg cholesterol. Coconut cream - 1/2 cup - 23 gm saturated fat and 0 cholesterol. Butter - 5 gm or 0.18 ounces - 2.5 gm saturated fat and 10 mg cholesterol. Margarine - 5 gm or 0.18 ounces - 1 gm saturated fat and 0 cholesterol. Margarine, reduced fat - 5 or 0.18 ounces gm - 0.5 gm saturated fat and 0 cholesterol. Dripping, Lard, Copha - 20 gm or 0.71 ounces - 10 gm saturated fat and 20 milligrams cholesterol. Oil - 20 ml or 4 teapsoons - roughly 2 to 4 gm saturated fat and 0 cholesterol. Cod liver oil - 20 ml or 4 teapsoons - 4 gm saturated fat and 15 mg cholesterol. The thing about eggs though is they contain a substance that helps neutralise the cholesterol effect. Large egg - 2 gm saturated fat, 210mg cholesterol. Egg white - 0 gm saturated fat, 0 mg cholesterol. Large Egg yolk - 2gm saturated fat, 210 mg cholesterol. Steak 100 gm or 3.5 ounces - lean + fat - 4.4 gm saturated fat, 81mg cholesterol. Steak 100 gm or 3.5 ounces - lean - 3.6 gm saturated fat, 86 mg cholesterol. Roast beef - lean, 40 gm or 1.4 ounce slice - 1 gm saturated fat, 25 mg cholesterol. Steak mince - raw, 100 gm or 3.5 ounces, normal percent fat - 7 gm saturated fat, 70 mg cholesterol. Hamburger patty - 100 gm or 3.5 ounces grilled - 7.6 gm saturated fat, 82 mg cholesterol. Next Catergory is going to be meats. Just beaware though that you still have to monitor that waste size, nearly everything has some calories ( kilojoules ). No Fat / Skim Milk - 1 cup - 0 saturated fat and 0 cholesterol. Low fat Soy Drink - 1 cup - 0 saturated fat and 0 cholesterol. No Fat or skim milk yoghurt - 200 gm or 7 ounces - 0 saturated fat and 0 cholesterol. Kraft Free Singles cheese slice - 21 gm or 0.71 ounces - 0 saturated fat and 0 cholesterol. Gelati - non-milk type - 0 saturated fat and 0 cholesterol. Fruit Ice convections - non-milk types - 0 saturated fat and 0 cholesterol. Cooking oil spray - 1 second spray - 0 saturated fat and 0 cholesterol - but only because very little oil is used in a 1 second spray. So you still need to watch how much you spray on.